The current version of LABEL MATRIX is fully compatible with Windows 10 and Windows Server 2016. Its address field combination expression automatically excludes blank lines, optimizing address labels. If prompted, database connection can auto refresh when launched – ensuring access to the newest data. Embedded printer drivers ensure seamless What You See Is What You Get (WYSIWYG) printing. 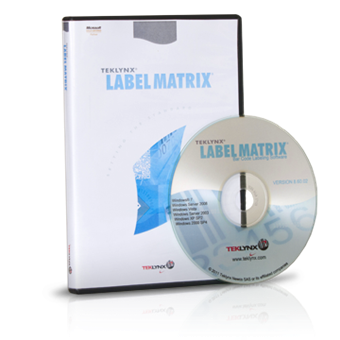 TEKLYNX Subscription Licensing is available for LABEL MATRIX. Learn more about Subscription Licensing.